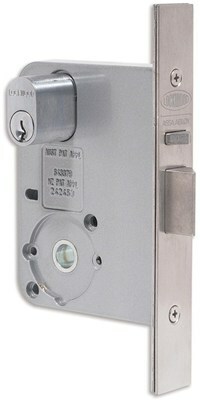 Narrow style rebated mortice lock suitable for external hinged doors. 30 mm backset. 12 mm rebate. Zinc machine cast case, follower, faceplate, strike and deadbolt. Reversible brass latch bolt. 6 key changes. Display packed with fixing screws and two bit keys.